Amity University has announced that it is conducting Amity JEE 2019 for admission to B.Tech programs for academic session 2019-2020. Amity JEE 2019 date of the exam is April 08 to May 05, 2019. Registrations are open, candidates can fill and download the application form. The last date to apply varies for each campus and thus candidates must take note of the same. Interested candidates can check eligibility criteria and then apply. Once registered, you can log in to Amity Admission Microsite with form number and password printed in the application form; here one can check the status of form, the status of shortlisting, download admit card and result issued by the university. Amity JEE 2019 is a computer-based test conducted by Pearson VUE (for Amity). 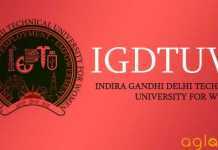 It will be held in various cities across India and abroad. Latest: The last date of application form for Amity University has been extended, candidates can apply from below. Scroll down to check the same. Amity JEE 2019 is the Amity (University) Joint Entrance Examination 2019. It is held for the purpose of undergraduate engineering admissions. It is a computer-based test. Important dates of Amity JEE 2019 are as follows. Scheduling /Rescheduling of Exam After registration of Application form. Admission is on a merit basis only. In addition, a candidate must fulfil eligibility criteria. You can apply to appear in Amity JEE 2019 in any one of the three ways. You can apply online, upload documents, and pay the fee online by clicking on the provided link. 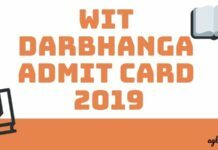 Download Amity JEE 2019 Application Form. Then enter details in it and affix recent colour passport size photograph. Submit it along with the photocopy of class X mark sheet. 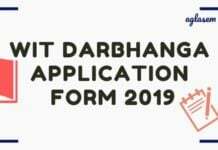 You can download the application form for free and submit it with DD with fee amount. You can buy Amity University application pack from information centres, campuses in Noida, Greater Noida, Lucknow, Jaipur, Gurgaon (Manesar), Gwalior, Kolkata, Mumbai, Raipur, Ranchi. Fill in all the details and affix recent passport size photograph. Submit it with photocopy of class X mark sheet. Click here to view Amity information centres to get Application Pack. Candidate needs to fulfil the eligibility criteria of Amity JEE 2019 in order to get admission. Since Amity Joint Entrance Examination 2019 is for admission to B.Tech programs, one needs to check B.Tech program-specific eligibility criteria for each Amity University campus. Common points that apply to all are given below. Candidate must not have the compartment. Those who have compartment will not get admission. Subjects that are not included to calculate aggregate percentage are Fine Arts, Physical Education, Performing Arts, Vocational, Non-Written subjects. Check program wise, campus wise eligibility criteria here. An important point to note about rescheduling is the presence of no-show fees. No Show Fees: Students who take dates and do not show up will be charged Rs 750 for getting another date. The computer-based test consists of four (4) sections. Each section has questions pertaining to that subject only. All questions in the exam are multiple choice questions. Clarification for section 4: Candidates need to attempt either mathematics or biology in section 4, depending upon the program they have applied for. Time: Maximum time to attempt the questions is 120 minutes. Marking scheme: You get 4 marks for the correct answer, and 1 mark is deducted for incorrect answer. No marks are either awarded or deducted if more than one option is chosen. Ideally one should devote 1.25 minutes per question to solve it. Candidates must prepare for the exam as per the syllabus of Amity JEE 2019 which is given below. Amity University will frame questions for the exam from the topics mentioned here only. Standard of examination would be as expected from a 10+2 completed student to solve. The admit card for Amity JEE will tentatively be released at least 2 days prior to the date of exam allotted to you. It is a vital document and is mandatory for the candidate for the candidate to carry it on the date of exam to the test centre allotted to him/her. Log in to Amity Microsite. Schedule your test by submitting date and time slot to receive the Admit Card on the Microsite. Candidates can practice for the Amity JEE exam before appearing for the real examination. A sample paper is provided on the official website. Students can get a rough idea as to what to expect in the question paper. Practising the sample paper would not only help in preparing for the exam but also make the candidate mentally ready for the exam and would somehow help a candidate to prepare better for the exam. Sample paper is provided below. The Amity JEE 2019 result would be uploaded to the official website. The results can be viewed a few days after the candidate has successfully appeared for the exam. The candidates will be required to log in using the credentials provided to them at the time of registration. The candidates who are qualified in the Amity JEE 2019 result are required to take part in the counselling process for admission. The Merit List will be prepared and the candidates shall be called for counselling according to the ranks obtained in Amity JEE 2019 result. The final admission is based on the eligibility of the candidate and the availability of seats. Go to the results page. Click Submit and check your result. The counselling round will begin soon after the Amity JEE results have been declared. Based on the performances of the candidates, Amity University will call qualified candidates for counselling and personal interview. They shall be interviewed by a panel of interviewers. These interviewers will be the eminent contributors to the university.